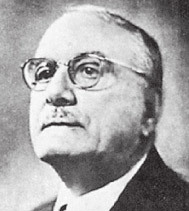 António Sérgio was born in Daman, in 1883. He was a writer, thinker and educator with extensive published work that extends the theory of knowledge to political philosophy and education. It was stated in Education with original works and thought, having directed periodicals and founded the movement Portuguese Renaissance, precursor of the reform of education following the Proclamation of the Republic. His writings, in several areas, reveal a philosophy with deep human and social implications. He defended the democratic doctrine level of political organization, a design pedagogy that values children and youth as creative beings, and was one of the main ideologues of the cooperative in Portugal.